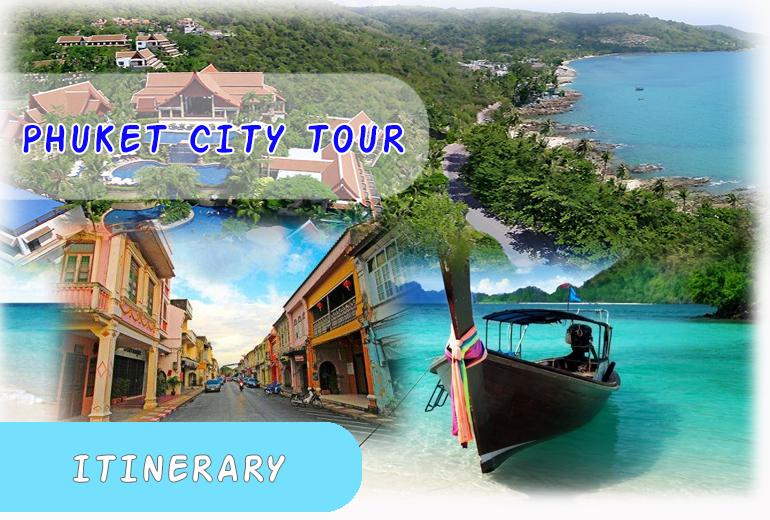 9.00: Pick up from the hotel and sightseeing along from hotel to Phuket town. and educate in the future. fitness park, lunch or romantic dinner. 11.45: Visit to Chalong temple (Wat-Chalong) this temple is very famous in its monks Since previous times. statues of famous monks, wish gain the respect from all people of Phuket. fishermen and the have their old life style and different from Phuket People in town. Phuket’s southern most point, which to perfect place to view spectacular sunset. of Kata Noi, Kata Beach and Karon Beach at one of the best scenic spots.